Companies of all sizes have started to rely more and more on social media to connect with consumers and increase brand awareness. If you aren’t “connected” with various forms of social media including Facebook, Twitter, LinkedIn, etc., you’re definitely missing out. And even if you are connected, you can always improve your marketing strategy. When delving into the vast world of social media and digital marketing, you need to have a strong understanding these programs as well as the goals you’re trying to achieve. Instagram; a fairly new social network that has grown rapidly (currently over 300 million followers), provides users with unique marketing capabilities. Not only can users share content (images and videos) on Instagram, they can simultaneously post their content to other sites including Facebook, Flickr, Twitter and Tumblr. Every social media platform has its own niche, and Instagram focuses on photos. Unlike other social media sites, however, Instagram created a filter system that allows users to adjust colors, contrasts, and hues. Combined with their well-known square photo shape, Instagram creates a vintage feel that users love. While it might have started out as a fun app for sharing photos with family and friends,Instagram should not be underestimated when it comes to marketing and brand development. Here are a few ideas to help you incorporate Instagram into your marketing strategy. Once you’ve created an account, connect it with your other social media accounts (Facebook, Twitter, etc.). Add a “follow me” button on your blog and website to announce the news and start accruing followers. When you integrate your Instagram account, you can share content simultaneously in multiple places with the click of a button. Additionally, your followers on Facebook, Twitter, etc. will start following you on Instagram as well. Use provocative imagery. They say a picture is worth 1,000 words, and that’s certainly true with Instagram. You’re telling a story through images, so think outside the box and post content that is eye-catching and diverse. Create a list of various components of your company and brand that you can highlight using photos and videos. This could include a “sneak peek” of a product you’re going to release, a tour of the office, an event you’re hosting, or images of your team. This frequent and unique content will create a “buzz” that generates interest, excitement and responses from your followers. In addition, you should post content throughout the day so you can monitor when your followers are most active. It’s becoming quite common to show users a “behind the scenes” view of what happens at your company. This effectively gives your followers a backstage pass that allows them to get more insight into the hard work that goes into creating your product. It also makes consumers feel like they’re a part of your brand. Build content around holidays and special occasions. It’s a perfect opportunity to offer a promotion or special opportunity. After all, diversity is key in social media. Authenticity is an important part of marketing as well. People are looking for depth. Instagram lets you provide captions with your photos, so take advantage of this feature by adding fun, humorous anecdotes that explain the photo and further connect consumers to your brand. Engage followers by encouraging them to share their own photos and experiences. Keep in mind that timely responses to follower submissions are important, as other consumers are viewing these interactions as well. Incorporate hashtags in your captions. This is an essential feature that will help other people find you. Consumers frequently use hashtags to search for specific content on a variety of social media platforms. Products and services (#nails) are great, as are highlighting your industry (#travel). Instagram, in addition to many other social media platforms, is an excellent tool to incorporate into your marketing strategy. Make sure you integrate with the rest of your social media networks; keep you content diverse; and engage with your followers. 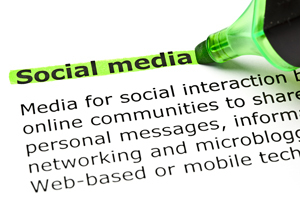 Bottom line: Socialize with your customer base by utilizing Social Media. When your customers become your “friends” the natural progression is brand loyalty and word of mouth advertising. After all, thats what friends are for.